And we seemed to only talk about kids. What was going on at the school or at Girl Scouts or soccer. How the volunteering for swim team was enormous and what a relief it was that the child had decided not to do it this year. Short conversations that revolved around something that wouldn’t even be an issue in a few years. Because those kids grow up. As my children’s world grew bigger, mine shrank. No longer did I get to walk them to school and meet adults outside on the playground. They walked themselves. Now the drama and trauma of the empty nest loomed. I tried dialing old friends, then ones with whom I’d partied all night in college, spilled my guts to over early morning pancakes. Those people I thought I’d always be friends with. Turns out while I was busy helping my kids learn to get friends and influence people I’d lost all of my own. I was left alone with the cupcakes. 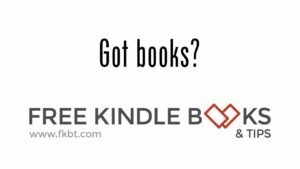 At around the same time I sold used books out of my house. A job that kept me busy and earned around $300 a week with little time except that spent scrounging around dusty thrift stores searching for treasure. An activity I loved having an excuse to do, but was once again solitary. One of the side benefits was the ton of used books on a variety of eclectic subjects. 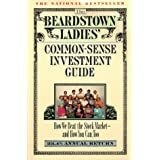 That’s how I read the 80’s classic The Beardstown Ladies’ Common-Sense Investment Guide. Why anyone would read an old paperback about a bunch of older ladies and their club is beyond me. But I loved it. 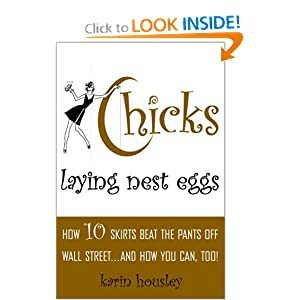 I went on to Chicks Laying Nest Eggs : How 10 Skirts Beat the Pants Off Wall Street…And How You Can Too! A more modern hip version where the ladies were hot hockey wives and they met online through emails instead of in dusty small town meeting rooms. I was hooked. I wanted a club. One where I could talk to adults about adult subjects. And the get rich on the side benefit? Well money is always nice. I reasoned that my busy friends who never had the time anymore to get together would make the time if it was an SIE (scheduled important event). And I was not disappointed. Under the excuse about learning about the stock market I called my friends who never had the time to go out. They came. They made time for the first meeting. We had our own cupcakes and instead of apple juice in boxes we had glowing red and white wine in glass bottles. It was an adult play date. The Queens of Green are still meeting three years later. I’ve learned a ton of stuff about the stock market, made a little money, (yes, we are actually up-at least as of yesterday) and now I manage my own tiny investments online. But the best part is my secret tell-no-one goal has been achieved. I now have my own friends. And the looming threat of the empty nest? Well that is a distant memory. 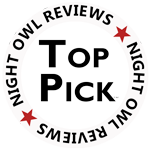 Between my investment club, my RWA activities, and oh yeah, writing full time, I have no fears of the empty nest. I’ve prevented what could have been a catastrophe. Have you ever had to re-make your life? What happens to those friends who you swore you’d always have contact with? What feeds your soul and keeps you from threats like the empty nest? I want to thank Shutterstock for the free clip art. Yumm, cupcakes..